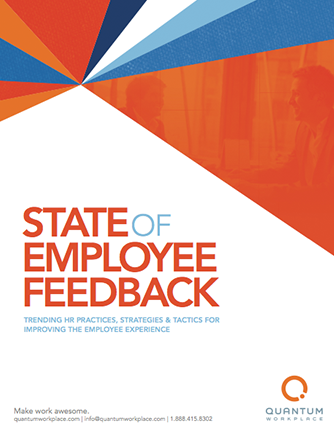 Welcome to the State of the Employee Feedback—an analytical, comprehensive summary of strategic HR practices centered on employee feedback. Designed to give executives, HR leaders, and employees insight into how organizations like yours invest in their employees’ experience, this report keys in on areas like employee engagement prioritization, performance conversation strategies, and best practices for collecting feedback. What are HR teams’ biggest challenges? What will they prioritize in the coming year? What employee feedback strategies and tools are becoming more or less important?